Hiring a company to do your website and periodic website maintenance is crucial, and can free up your time to focus on running your business. Just what is Website maintenance? If you have any type of website for your business, keeping that website running is important. While you may focus on the content, there are many other considerations when it comes to running a website. Some of these tasks are making sure the site is secure, that it’s available for your customers to access, and that the site works and displays properly whether on a computer, tablet or mobile phone. What does website maintenance include? 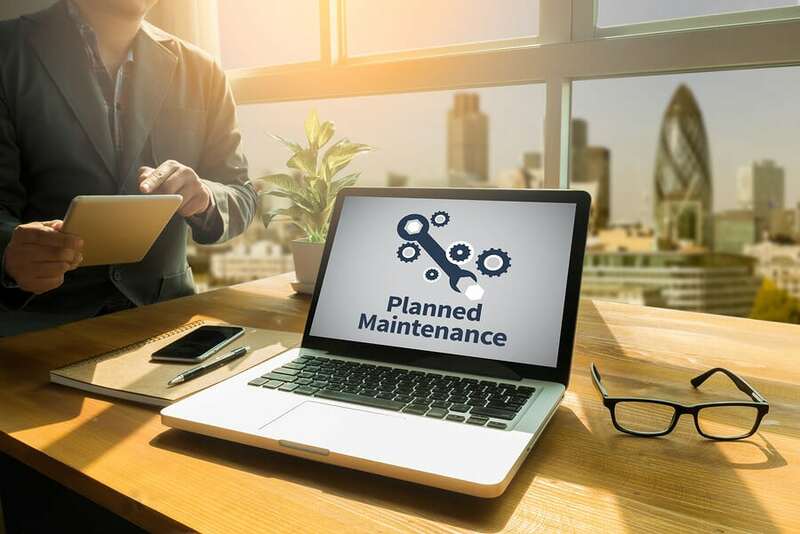 When it comes to what you’ll get when you hire out your website maintenance, the following elements are fairly typical. — You typically will have your website hosted on their server. By doing so, it’s easier for them to access your site and keep things running smoothly, as they are familiar with how their system works. 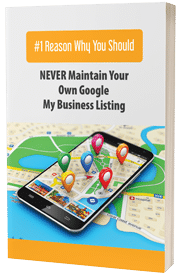 If your site is already hosted elsewhere, they likely can work with it, but may want you to move it. — Whether you need help adding or changing the content on the site yourself, or you need them to create or fix an element of your site, consider it done! Additionally, their servers will be updated to help protect you from security issues such as hacks or attacks. — Life happens, and sometimes this means a server crashes and your website is lost. But any reputable company will have a backup system, so that your site can be recovered and back online quickly. Backup can be set up on whatever schedule is appropriate for your website, and how often the content is updated. — If you don’t want to deal with updating the content on your site, a website maintenance company can do that for you. Due to them focusing on just websites, they can have any changes you send then done much quicker than you likely can. — Whether your site is new, or it’s been live for a while, chances are you can use more traffic and customers. One such method is to use search engine optimization (SEO). But the problem with SEO, is that the search engines are always changing how they evaluate websites, when deciding where they will rank in the SERPS (Search engine results pages). Hiring a company will free up your time, so you don’t need to worry about keeping up with the changes. What steps are necessary for website security? You may be thinking that securing a website likely isn’t that difficult, so why do you need to hire a company to do it? But consider the following factors. — There are constantly updates that need to be implemented. You need to update scripts whenever there’s a new version, as they tend to fix bugs from prior versions that leave “security holes” in your site. — Simple passwords are easy for hackers to determine. That’s why so many websites require at least 8 character passwords, that include upper and lower case letters, special characters, and numbers. – On that note, the main user account shouldn’t be “admin” as hackers will always try that. Even something as simple as your name can be a better choice, as “admin” tends to be a default that people don’t change. Have the email address associated with that account as something different than the normal, such as [email protected] Changing the prefix on your database table is another area that may help thwart hackers. — There are a variety of plug-ins or scripts that will add extra security to your website. There are a lot of these, so trying to find one that works well can be a real headache. With that said, you don’t want to install multiple plugins, as they can work against each other, and then you have no security. — If your site is one for which people will be creating accounts, you need to encrypt the data. This means using a SSL (Secure Sockets Layer) certificates, which is like “a handshake” between your site and your customers. This prevents a third party from slipping in, and getting sensitive information. Customers will look for it, especially if they are shopping on your site. What website maintenance packages do you offer? — This is a type of package that most companies offer, which is the website content that your visitors see. There will be a variety of packages, and you can pick the one that works best for you. You’ll get a certain number of pages created, a layout and design that is created just for you, SEO services, E-commerce, and SSL ability. From there, you can typically add more features or remove some, depending on what you need or don’t need. Keep in mind that, depending on what you are doing with your site, you’ll need many these, even if you don’t understand them, or why they’re required. — Support is typically behind the scenes, and what you need to do to keep the site operating properly. This includes work such as updates, security, backups and keeping you safe from hackers and spammers. 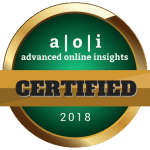 You can get a variety of reports that will let you know how your site is running, so that you can make changes, upgrade hosting, or fiddle with various strategies to get better results. What does website maintenance cost? A big question is how much does all this cost. There is no one set answer, as a lot depends on what exactly you need. If you’re just starting out, you can likely get a smaller package, which means less data is required and at a lower price. But if you’ve been around for a while and you already have traffic, you may need a better package. Make sure that the company you use is flexible and will allow you to upgrade whenever you need to, or pay for more data. If you’re close to using up your data for the month, will they warn you and allow you to upgrade, or will your site be stuck until the new month begins? Any package you get should include the ability to contact the help desk, software updates, and security features. They should also provide backup services in case something happens to your site. As with anything, the more your package costs, the more robust the maintenance package you have. You CAN get a good package for a reasonable fee! You just need to find the right company. If you’re still not sure if you should hire a company to do your website maintenance, consider the following reasons, and keep in mind what your time and your sanity is worth. — As this is what a company’s job is, they’re on top of what’s going on with the Internet, and what needs to be done to keep your site secure. They will update, or make any other changes that need to be done to keep your site running. If you have mailing lists or shopping carts, they’ll make sure that the information stays secure, and you’ll not need to worry about securing the information yourself. — There are a lot of updates that need to be done in the background when you’re running a website. Hiring out this work will put that responsibility in someone else’s hands, allowing you to focus your time and energy on other elements of your business. They’ll better understand the updates and the need for them, which will enable them to be done in a timely basis. — If you plan to do some work on your website, or you have messed something up, your maintenance company can help you sort it out. Maybe you want to add something to your website, but you are not sure if it can be done, or what it may entail. The company you’re using can assist you in sorting it all out. — Anything that relates to your website, an expert can handle, regardless of how odd or difficult it might seem to you. We have a package that’s just right for YOUR business needs! Visit our Website Management Services page for a detailed comparison. Or call TODAY for a free consultation! Having a website maintainance plan will really benefit your site in the long run. I know it’s a little tempting to just let your site sit there, but at least once a month, you should check if there are any issues with your site, like broken links and outdated plugins. You’ll thank yourself later, i assure you. The “bad guys” seek out sites that leave vulnerabilities open to take-over websites, making it very difficult and costly to recover. A website maintenance plan that updates code to block these attempts is a smart insurance policy against a potential large investment of time, money and lost revenue/reputation should a site be hacked. If you want to avoid any issues with your website, the best way is to hire a website maintenance expert. They will take care the support and security needed to make your site healthy. Important, especially for those who rely on their websites for their income. Having a website maintenance at least twice a month is necessary for your website to keep rolling. A lot of plugins need to be updated, CSS sometimes break and other issues may arise. Great post. Definitely will help someone who has no idea about these stuff.